That article's writer should've just used a drawing or another foto - not that of Amedeo and Elisabetta. I think it's going too far to say that Lili and Amadeo "live like us...commoners". Commoners do not have the type of wedding TIH's had nor do they go hang out with family and in-laws at some of the most exquisite palaces and chateaux on the Continent. They are privileged to pursue lives on a very high scale with no worries about gaining access to the most exclusive circles. Their future and the futures of their children are assured economically and socially. I don't know any commoners who can say that. But they do seem like a very approachable, low key and lovely Royal couple. As far as Amadeo and his siblings, we don't know how they feel about their titles because they don't give interviews. They are Imperial and Royal Highnesses through both of their parents, they've never known any other life. it's a good bet that they don't give it that much thought. Amedeo and Lili has a good economic situation. Obviously they can dine in the restaurant they desire and travel to wherever they want without major concerns. I like Amedeo and Lili and I'd like them to come more often. Her Imperial and Royal Highness the Archduchess Amedeo of Austria-Este, Princess of Belgium born Donna Elisabetta Rosboch von Wolkenstein is a daughter of Nobile Ettore Rosboch von Wolkenstein and of Donna Lilia dei conti de Smecchia. Some posters seem sure that this Italian aristocrat lady married only for love and not because Amedeo is a goodlooking rich dude whom happens to be an Archduke of Austria and a Prince of Belgium. Would Donna Elisabetta have married Amedeo when he was a poor jobless dude living somewhere in Brussels? Anyway, Elisabetta works for Bloomberg News in New York City, USA. Oh, what I mean about "commoner" is someone living an ordinary life... not given patronages, etc. , things which sons/daughters of a reigning royal sovereign are tasked to do, dogged by press, etc (again). I know they have those privileges moonmaiden23 said, but regardless of those, they live like commoners. I hope I have made myself clear...or should it be more proper to say they want to live like commoners? I happen to think Amadeo/Lili are indeed a love match. They seem smitten with one another. The fact that they are also on one another's social, economic, educational and religious level is serendipity. They are a fantastic couple. Thank you for the link, Olyashka! You're very welcome, Moonmaiden23! I hope his siblings would be given a chance to do that kind of written interview, but it seems the press isn't interested of them, as well as the rest of Belgian population... according to Blue_ (a Belgian member here), very few in the place where she lives know who the rest of Astrid's children are. Amedeo is the only famous one. I think it's probably true for the rest of Belgium. They only know them by face but names..no. It's been cited as one of the references for Lili's info in Amedeo's Wikipedia bio. There's a bit of his interview in there, explaining how happy he was working in New York. I assume that Donna Elisabetta felt in love with Archduke Amedeo, vice-versa. But they are two people on the same social stage whom have found each other. These two blue-blooded people met each other exactly because they are on a social level which they share. Then about the couple living a life like "commoners". That happens to be the reality for almost all royals except the reigning couples and their heirs. In many royal families (the Netherlands, Luxembourg, Norway, Sweden, Denmark, etc.) royals are expected earn their own living when they do not belong to the very core royal family. Amedeo has recently obtained a MBA post graduate degree at Columbia University. Apparently the Prince has found a new job in Brussels, as a banker in private equities. 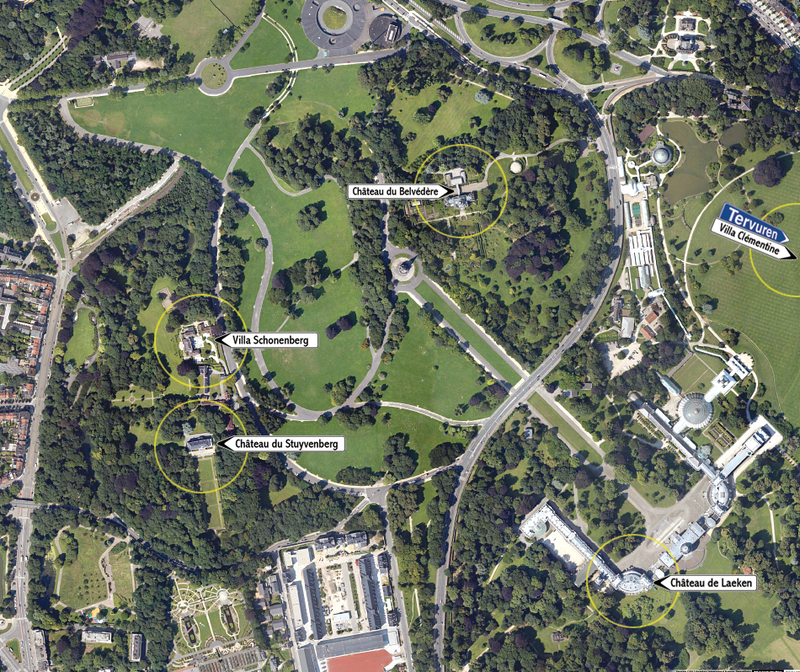 According Le Soir the couple has a new home at the Royal Domain of Laeken, close to the Villa Schonenberg where his parents live. That Royal Domain belongs to the Koninklijke Schenking/Donation Royale and gives its properties at the disposal of the King and/or the royal family. 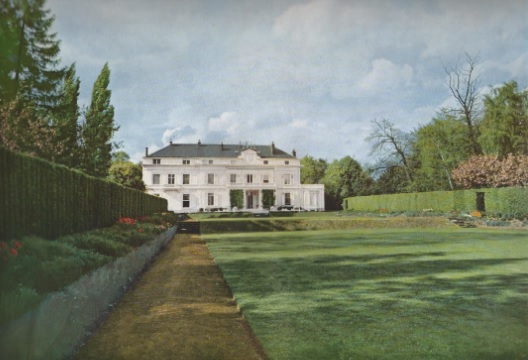 Since the death of Queen Fabiola, her residence the Château du Stuyvenberg is no longer in use. In Belgian media there were rumours that the couple Amedeo & Elisabetta would become the new inhabitants of that beautiful residence. The building is in need of a good renovation. Nothing heard about that anymore. What makes me think they indeed married for love is that they lived together for years in New York, far from the public eyes. They had been a couple for eight years or more before their wedding. Doesn't that count for all royal couples? Prince Philippe dated Mathilde d'Udekem d'Acoz while really no one ever found out. Prince Willem-Alexander was invited by a Prince von and zu Liechtenstein to visit his family's pavillion at the Feria de Abril in Sevilla and suddenly saw a certain blonde lady whom appeared to be an Argentine living in New York. There are no arranged marriages anymore in West-European monarchies, maybe some are "encouraged" (by organizing parties, diners, to create fertile soil for wished matches) but that is it. Donna Elisabetta Rosboch von Wolkenstein with Prince Amedeo. Donna Beatrice Borromeo with Pierre Casiraghi. Princess Maria Carolina de Bourbon de Parme with Albert Brenninkmeijer (of the wealthiest family in the Netherlands). Lady Melissa Percy with Thomas van Straubenzee. It is still all very much "us knows us". Their romance was kept low-key, but I am almost 100% certain that Mathilde and Philippe did not live together before they married and neither did Guillaume and Stephanie. This is the first I have read that Maxima and Willem-Alexander did. In Amedeo and Elisabetta's case, they've known each other for years before deciding to get married. I know, time isn't enough evidence to tell a couple has found true love, but for their case, I'd prefer to say they really knew each other enough after knowing each other for 7 years, that they really are genuinely in love before taking the marriage vows. Ok, maybe I'm wrong with thinking about that because I've never been in a relationship in this young age of mine... Time will tell what I've chosen to believe is true or not. If they seek divorce, I'd admit my blindness and mistake. Thank you for that info about where they're currently living. If that's where they chose to live, they're not commoners. However, I wonder if they would ever use those limousines, chauffeurs, etc... only time and later photos (if there'd be any) will tell. I know the rest which you said, btw. I wonder if it's true that they have a house on the Royal Domain. It was said before that they bought a house in Brussels. It is agreed that in the future only the monarch and the heir will receive a donation. For that I don't find it logical that the nephew of the king gets a house on the Royal Domain. Maybe they're staying there while their house is being renovated. 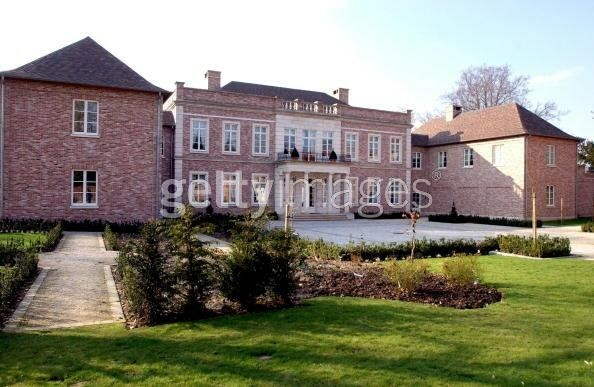 Yesterday on VTM they said they had a House near Princess Astrid's. They also said She left Bloomberg , but this has nothing to do with her private life. Members of the Royal Forums have a lot of Imagination and a lot of free time to write about it. Yes, on the Royal Domain of Laeken, close to Villa Schonenberg. But next to it is the Château du Stuyvenberg, so maybe they are living in an annex to Schonenberg. The Prince of Orange lived in his mansion at Noordeinde 66 in the centre of The Hague. Ms Máxima Zorreguieta Cerruti lived in an appartment at Huis ten Bosch palace in The Hague. They did not live together before the marriage, at least not officially. I don't know if Archduke Lorenz and Donna Elisabetta lived together in the USA. It is 2015 and I only encourage people to live together first, to see how daily routine works in their relationship. Amedeo and Elisabetta did indeed lived together. I am not sure your views on the matter are shared by the very catholic parents of the Gotha. True Sancia, Amadeo and Lili lived together openly in NYC for years. Since his family and upbringing are among the most religiously orthodox in the Gotha, I was surprised about that. They even sought the blessing of the Pope before their wedding. I don't think living together first is beneficial to the success of a marriage in the least. In fact, studies have shown just the opposite. Most people live together first nowadays....and the divorce rate is 50%, higher than at anytime ever. yes and 50 years ago and more people who detested each other stayed together out of fear of social stigma, my grandparents being a good example. Remaining married does not mean the marriage is well, healthy or even alive. I prefer the honesty of, if the marriage isn't working, leave.